“The Angel”: Secret Mossad Spy, or Cunning Double-agent? One of the greatest suspense thrillers of all-time. And it’s true. An Aish.com exclusive. 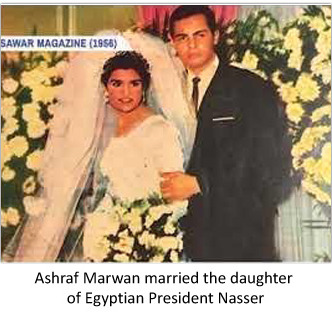 Emblematic of the topsy-turvy Middle East is the story of Ashraf Marwan: son-in-law of Egyptian President Gamal Abdel Nasser; trusted advisor to Anwar Sadat; and spy for the Israeli Mossad… or perhaps a secret double-agent acting on behalf of his native Egypt. It all comes to life in the new Netflix film, The Angel, a suspense thriller that culminates with Marwan’s death under mysterious circumstances in London. To make sense of this harrowing tale of intrigue, Aish.com spoke to Dr. Ahron Bregman, the Israeli closest to Marwan, who in 2002 first revealed the identity of the celebrated spy. Nasser strongly disapproved of the marriage, since Marwan had no particular social, political, military or business pedigree. As a result, Marwan felt both humiliated by his father-in-law and estranged from the Egyptian power center – planting the seeds of his spy career. Following Nasser’s death, his successor Anwar Sadat brought Marwan into his inner circle, as a way to demonstrate the support of Nasser’s family. 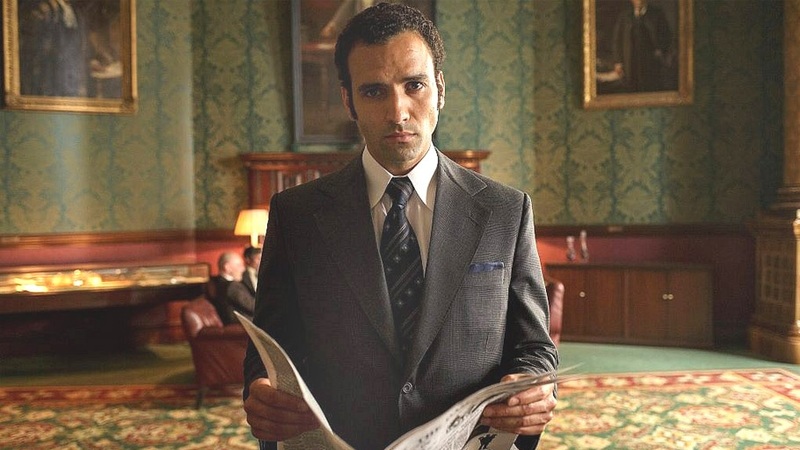 In this role, Marwan gained unparalleled access to his nation’s top secrets – including detailed Egyptian military activities and accounts of Sadat’s private conversations with Arab leaders. Marwan had a variety of possible motivations: Becoming a spy accorded him the status of conversing directly with Moshe Dayan, Golda Meir, Yitzhak Rabin, Henry Kissinger, et al. Marwan may have also been motivated by money, as the Mossad paid hefty fees for access to secret Egyptian war plans. Indeed, Marwan parlayed those fees into a $3 billion business empire. Marwan became an invaluable asset to Israel in 1973, when Sadat (in conjunction with Assad of Syria) prepared to launch another major military assault on Israel. Marwan’s warning reportedly allowed the Israelis to prepare for the “surprise attack,” thus preventing thousands more Israeli casualties and loss of territory including the strategic Golan Heights. But here’s where things get complicated: While Marwan was ostensibly a spy who helped Israel, many believe he was a cunning double-agent who duped Israel, deliberately providing inaccurate information about Egypt’s war plans. Following Sadat’s assassination in 1981, Marwan left Egypt and began a lucrative business career in London. 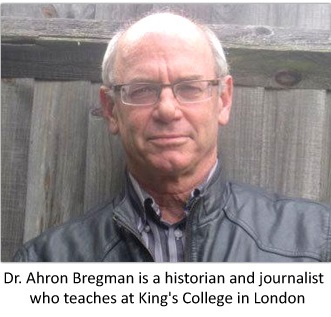 Things were relatively quiet until 1999, when Dr. Ahron Bregman, a historian and journalist who teaches war studies at King’s College in London, came into the picture. After three years of investigative journalism, Bregman published a book revealing Marwan as the legendary Mossad super-spy. Marwan flatly denied Bregman’s claim, calling it a “stupid detective story.” But when the revelation was published in the Egyptian media, Marwan called Bregman asking to meet. Marwan initially suggested they meet at the Dorchester Hotel, but Bregman was fearful it was a set-up – given that was the site of the attempted assassination of Israeli ambassador Shlomo Argov in 1982, which sparked the first Lebanon War. 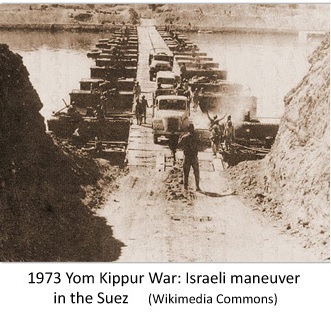 Meanwhile in Israel, rival intelligence agencies were battling over who was the main culprit in Israel’s failure to preempt the Yom Kippur War. Part and parcel of this debate was whether Marwan’s loyalties lay primarily with Israel or Egypt. Zvi Zamir, head of the Mossad and who was Marwan’s personal handler in 1973, claimed that Marwan was loyal to Israel. Eli Zeira, head of IDF Intelligence during the Yom Kippur War, subscribed to the double-agent theory. The dispute ended in legal arbitration and in 2007 Bregman was called to testify. The judge issued a conclusion that Marwan was loyal to Israel – a verdict that was then leaked and published online. At this turn of events, Marwan called Bregman in a panic, leaving multiple voice messages. They scheduled an appointment to meet the next day, but Marwan failed to appear. That morning, he had fallen from the fifth-floor balcony of his luxury apartment in London. 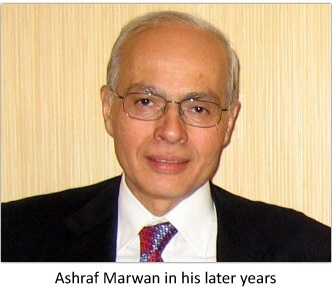 Ashraf Marwan, superspy, was dead at age 63.
Who did it? Was it assassination? Or suicide? One theory is that Marwan was a genuine spy for Israel, and the vengeful Egyptians killed him. Yet to save face for having been infiltrated at the highest level by a Mossad spy, Egyptian officials gave Marwan a funeral befitting a national hero. Lending credibility to this theory, “death by high balcony” is an assassination method used multiple times previously by the Egyptian intelligence agency operating in London. 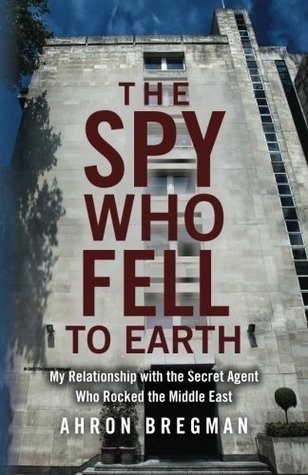 As an act of repentance, in 2016 Bregman published The Spy Who Fell to Earth: My Relationship with the Secret Agent Who Rocked the Middle East. Which side of the conflict was Marwan ultimately loyal to? And who caused his death? It is characteristic of Marwan to keep us guessing about his motivations. These controversial questions will likely never be answered.